A Security hand strap for your expandable Baton. This strap can be easily inserted under the screw-on ending. 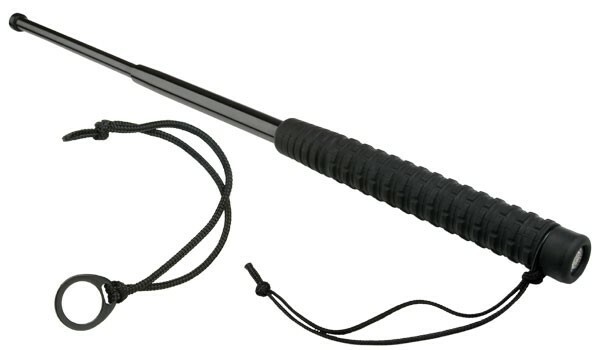 The baton can be then used with or without this hand strap - as needed. It can also be used with additional flashlight for expandable baton ESPBL-01 or ESPBL-02.